Home / News / WEABL All-1st and All-2nd teams announced! 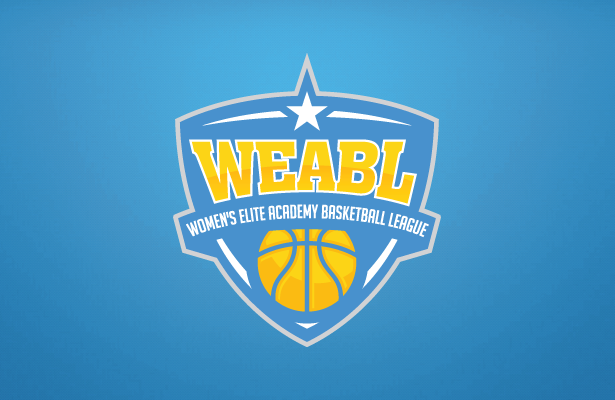 Some of the best players from across the WEABL have been picked for this season’s conference teams, and they’re well deserving of the awards. 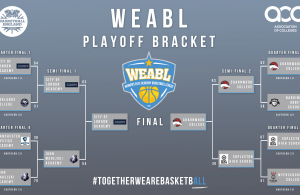 All selections were based on the regular season only, and teams were voted for regardless of position by teams and coaches across the WEABL. Charnwood’s Holly Winterburn (26.0ppg, 32.2eff, 10.8rpg, 5.8apg, 4.4spg) picks up All-1st Team honours for the 2nd year in a row after getting the nod in 2017/18. 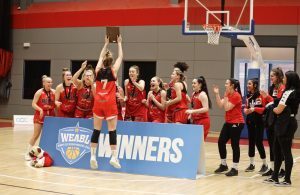 She’s joined by Charnwood teammate Megan Jones (9.3ppg, 5.8rpg, 2.0spg, 1.5bpg) after the pair helped the North champs to an unbeaten season. There’s also a pair of selections for Manchester Mystics Academy as Chloe Andrews (14.6ppg, 5.9rpg, 5.6apg, 2.9spg) and Jade Mbam both make the cut. The All-1st team is rounded out by Defensive Player of the Year for the North, Myerscough’s Kyra Smith (11.1ppg, 12.0rpg, 3.6apg, 3.0spg). All-2nd Team honours went to Manchester’s Remi Idowu (3.6ppg, 9.7rpg) and she was joined by Charnwood pair Rebecca Morrison (10.8ppg, 9.0rpg, 1.3spg) and Holly Wright (13.5ppg, 5.5rpg, 4.3spg). Katie Simpson (3.9ppg, 11.0rpg) and Celina Eisenhardt (12.1ppg, 7.1rpg, 2.5spg) from Myerscough round out the North Conference selections for 2018/19. The All-1st Team in the South is highlighted by previous award winners as this season’s Defensive Player of the Year Esther Little (19.8ppg, 26.1eff, 12.7rpg, 5.7apg, 3.8spg, 1.3bpg) and Most Improved Player Anabel Latorre Ciria (13.1ppg, 11.6rpg) have both been chosen. Little’s Copleston teammate Cameron Taylor Willis (15.1ppg,11.5rpg) is also included, as is Barking’s Loren Christie (16.1ppg, 8.4rpg, 2.8spg, 2.2bpg) and CoLA’s Megan Haines (15.6ppg, 2.4apg). In the All-2nd Team, there are a couple of pairs of players from teams in the Capital as CoLA and Barking Abbey both contribute two players. Jade Guidolin-Duncan and Maya Hyacienth both enjoy selection from the South Conference winners, with Precious Adediran (9.9ppg, 5.1rpg, 4.5spg) and Lilly Annim (6.2ppg, 8.8rpg, 1.9bpg) being picked from BA. Copleston’s Ella Pearson (7.4ppg, 8.4rpg, 3.1spg) is the lone selection from outside of London. ← Previous Story Shaniya Rose and Anabel Latorre Ciria win Most Improved Player awards! Next Story → Holly Winterburn and Megan Haines win WEABL MVP awards!